Welcome, friends and family! My Wee Abode is starting a new series on Sundays called “Sunday Be Stills”. 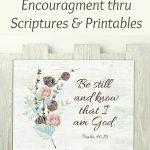 Each week there will be a short post with a brief encouragement, along with a printable that will be available to anyone who would like it (and they will always be in the resource library, too). This week, we have a lovely wall print that coordinates with My Wee Abode’s monthly calendar for January. In the coming weeks, your gift will be a printable 3 x 5 verse card that will coordinate with each calendar month’s theme. I hope you enjoy them, and I hope that you will be encouraged. Won’t you join me this week, and through the year, putting aside time each day to ‘be still’ and know God? Have a blessed Sunday and a wonderful week! Thank you, Julie! Have a blessed day! You are so welcome, Marilyn! Have a blessed week! Thanks , Julie. I have a bracelet with that verse on it. If things are going kinda wonky, I read it. Nice bracelet! 😉 I know that The Adopt Shoppe has some wonderful jewelry with Scriptures and Truth quotes on them. They are quite beautiful. Thank for coming by! Hugs! This will be an awesome series Julie! I struggle with focusing on Him continually throughout my day. My minds wanders down the worry path too often. He gently brings me back though and I am grateful for that 😊Can’t wait to see how Father uses this series in the lives and hearts of people including me 💗 Blessings to you!! Thank you for this series Julie. We all need to stop and listen to the Lord’s words. Love this so much Julie! I am so all about you and your amazing blog. It’s so exciting to watch your journey! Thank you, KariAnne! I’m all about your amazing blog, too! Thanks for coming by. I think about and pray for you often. Hugs and hearts! God Bless you Julie, my personal faith is so very important to me. I became a Christian 52 years ago. 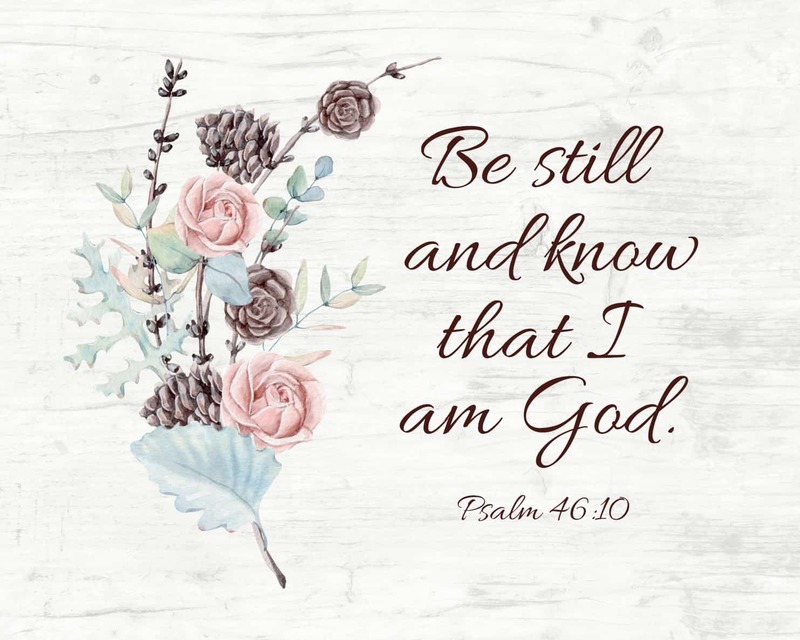 It is sad that we have to be reminded to “Be still and know that I am God”…but with life and all the happenings going on, we do have to be reminded from time to time and God uses all sorts of ways/people to remind us. Thank you. Sorry if this comment goes through twice! 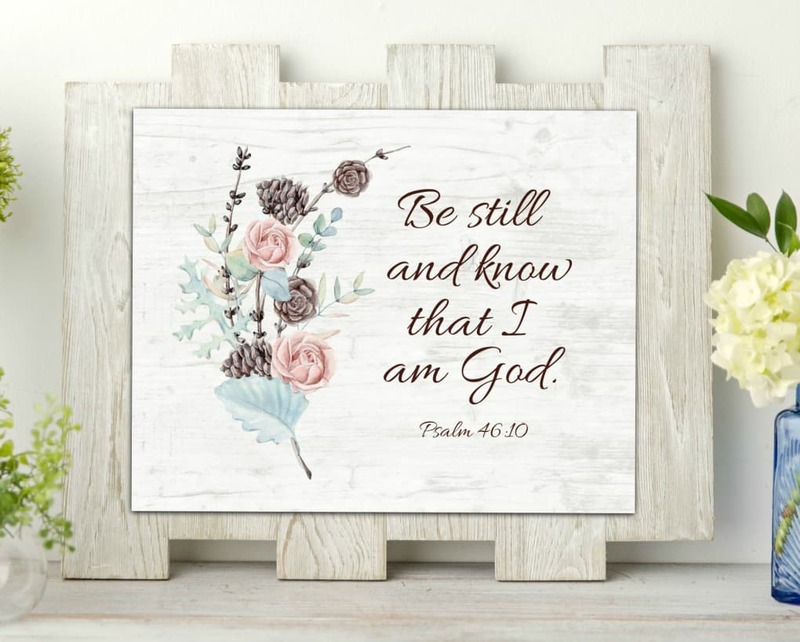 I just love this… because, I struggle with just being still! I’m always on the go. But, it IS important to be still and spend time in prayer or trusting in God! I’m glad you were encouraged. I’m hoping this blesses others, as *I* work through my relationship with the Lord! Hugs! Yes, Tiffany… I think most of us struggle with being still before God. So glad HE is God, and I am not! 😉 Thanks for the sweet words. Hugs, my friend! Sweet and thoughtful idea. Thank you Julie for sharing. Thanks for the encouragement, Michelle! Hugs, sweet friend. Thanks for the sweet words, Christene. Hugs! Thanks for the reminder, Julie, and I love your new series! I have found myself feeling very disconnected from “real life” in trying to build my “online” identity. It’s a good reminder to be still and trust in God. So glad you were encouraged, Crissy! Hoping this will bless all of us! Beautiful design and beautiful reminder. Thank you so much for this post. Thank you, Sue! You are always so kind! Have a great weekend! I love this so much Julie. What a beautiful way to serve your readers. Thanks you, Sonya. I hope we all can enjoy these brief times with the Lord!